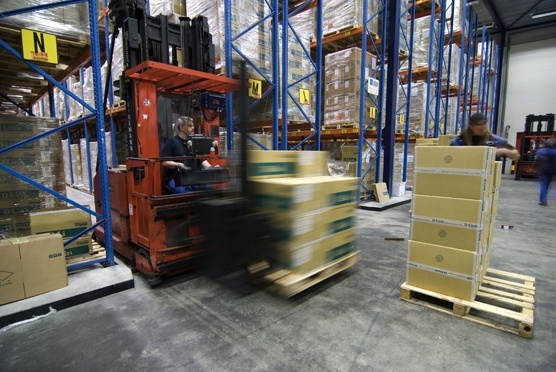 Creating an efficient storage system is one of the most crucial tasks in warehouse management. If successful, this will not just increase the warehouse’s storage capacity, which could mean more income, but it will also improve employees’ safety and productivity, which translates to less downtime cost. With today’s technology, designing a warehouse storage system has never been easier. There are more options to choose from, too, each having a fair share of benefits and drawbacks. Of these options, what can be seen in most modern warehouses is pallet racking, a storage system that consists of steel uprights, beams, braces and decking assembled specifically for storing palletised merchandise. It’s not surprising how pallet racking systems have quickly gained popularity over the years and become the storage solution of choice for most warehouses not just in Sydney but throughout the world. The multitudes of warehousing issues it helps address have had warehouse owners using conventional storage systems make the shift. 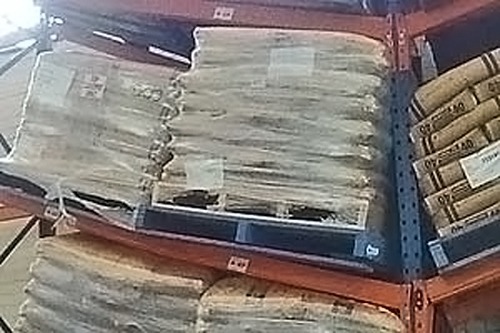 Specifically, here are some of the advantages of pallet racking systems they are enjoying.
. One of the biggest challenges in warehousing is trying to fit everything in the inventory into a warehouse that has apparently reached its limits. One immediate remedy is to utilise as much space for operation as possible for storage. Unfortunately, this will only lead to a series of problems, including loss of access to products by forklift and possible accidents related to inadequate space for movement when accessing products. What most warehouse owners and managers are missing out on is the profuse amount of vertical space laying idle. A pallet racking system can be built higher to utilise this space and increase your storage efficiency and density. You don’t have to make any dangerous changes to your original storage system layout just to meet your growing storage needs. Different Types to Meet Different Storage Requirements. Merchandise comes in different forms and sizes, each of which has a unique storage requirement. Some are too long or too large to fit in a standard-sized pallet, while others are too fragile to be pushed several positions deep or levels high. Thankfully, there’s a variety of types of pallet racking system that you can choose from. Depending on your specific storage needs, you can choose among drive-in rack, selective rack, pushback rack, and carton flow rack settings. Not only will the right mechanism help speed up storage and delivery but it can also help ensure the safety of your merchandise. Furthermore, most of the latest pallet racking system designs have accounted for lift truck impact, making them tougher and less prone to collapse. Sufficient Routing Space for Vehicles. Because a great deal of the horizontal space in your warehouse has already been offset by the vertical space, you have ample amount of space for pathways for both workers and vehicles. One distinct benefit of setting up a pallet racking system is getting to have sufficient routing space for forklifts. You can now allow your forklifts more freedom to access distant corners of your warehouse floor without getting stuck on dead ends. One of the things that set pallet racking apart from conventional warehouse storage systems is its design tractability. It can be customised to meet highly specific storage requirements. Modules and conveyors can even be added to make storage much more efficient. For instance, with this additional mechanism to the supposed stationary pallet racking structure, merchandise can be carried in and out of the warehouse for shipment and storage even without using forklifts. This consequently reduces downtime or delays caused by the inadequacies of forklifting, which translates to more efficient order fulfilment. Easier and Less Costly Expansion. While expansion is a great thing to anticipate, considering how much profit it could bring you in the long run, it costs top dollar, too. A huge portion of the expense goes to dismantling and reconstructing the storage system. With a pallet racking system, however, that additional chore may no longer be necessary. Especially if you work with warehouse storage experts in Sydney like AGAME Universal, it might surprise you to find out just how much you can save by building a pallet racking system that is adaptable to expansion. Instead of dismantling the entire structure, we can simply add layers and rows across every inch of space added to your building. With all these benefits, you may think that things are going to be easy during the installation and maintenance of the pallet racking system. In truth, there are complexities to the whole idea that needs due considerations prior to upgrading your warehouse. How much does warehouse racking cost? Any valuable addition to your warehouse, let alone a big one such as pallet racking, can be discouragingly pricey. Then again, when you compare its cost to the expected ROI, you’ll realise that it’s actually a worthwhile investment. 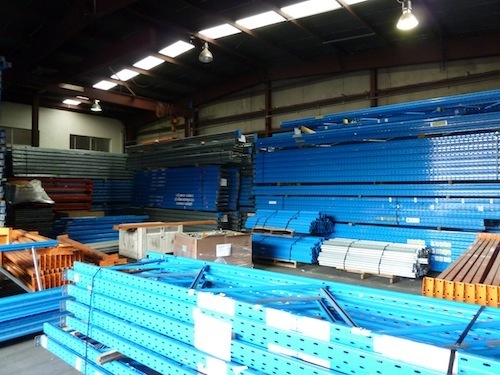 There’s a host of factors to consider when designing and laying out a pallet racking system, all of which are specified in government-approved building codes. These include your warehouse location’s seismic classification, fire-life-safety, concrete floor specifications, separation and sprinkler requirement, and types of merchandise to be stored. Even though it is crucial for a warehouse owner and manager to have basic knowledge of how pallet racking system works, they don’t have to go through the ordeal of designing and installing it themselves. That job can be carried out by our team. After all, it is what we specialise in and that means we can perform it much better than any other in-house personnel you have. Take this burden off your back and leave it to the experts to ensure that your pallet racking system will serve your business for many years.